Comprehensive studies in every major and minor key featuring: Chromatic Intervals Interval Tuning Chorales that isolate the same pitch in every section Drone exercises in major and minor Descending triad exercises that explore major, minor and diminished chords All major and minor scales with suggested drone pitches or use the downloadable option. Over 30 chorales with block chord studies Whole instrument tuning - several recommended tuning notes for every instrument to get a complete picture of intonation. 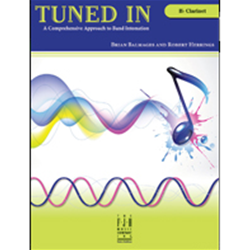 Whole section and whole band tuning chorales - get a quick snapshot of your band's intonation and instantly hear any sections that are out of tune! Free downloadable drones in every key for directors who do not have access to more expensive solutions or need an "on the go" option!